San Francisco, CA, Sept. 26, 2017 -- The San Francisco SPCA and Central Valley Rescue Railroad (CVRR) are partnering to save lives by hosting the first Central Valley Summit for Animal Welfare, thanks to a generous grant from Maddie's Fund. The summit will focus exclusively on developing more opportunities to transfer dogs and cats from rescues and shelters in the Central Valley region to organizations that successfully rehome them. Building a more robust transfer network will lower euthanasia rates, improve welfare at shelters, and help solve the problem of pet overpopulation. Local participants at this invitation-only event include rescues, shelters, and transport agencies from Fresno, Tulare, and Kings Counties in California. Bay Area shelters and national allies will also be in attendance.Media representatives are invited to join. 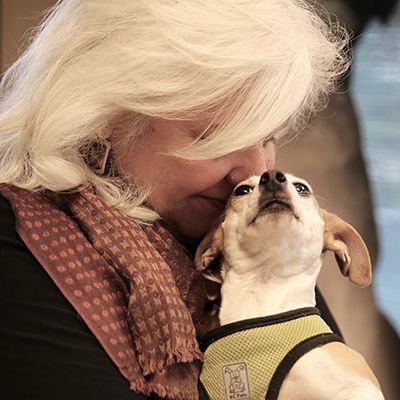 "By bringing together local animal shelters and transfer partners, we're hoping to improve the outcomes for animals in the Central Valley," explained Dr. Jennifer Scarlett, SF SPCA President. "Thanks to Maddie, this daylong summit will help us build a shared understanding while identifying challenges and opportunities. Ultimately, the goal is to save more lives." According to BJ Motko, Director of CVRR, "The summit provides a unique and unprecedented opportunity for local animal shelters to meet with representatives from receiving animal rescues to insure that our central Valley dogs and cats are being transferred to reputable, caring and professional organizations." The summit will take place on Friday, October 6, from 8:30am - 3:00pm at the Wyndham Hotel in Visalia, CA. Central Valley Rescue Railroad is an all-volunteer rescue and transport organization serving the Foothill and surrounding communities of the Central Valley. Our primary focus is dogs that are acquired from local shelters and community surrenders. All dogs in our care are guaranteed to be either adopted or transferred to a No-kill partner for placement. We are a private non-profit that is funded solely by donations and adoption fees.